An unpublished report by a government advisor and UN consultant, obtained exclusively by INSURGE intelligence, accuses Western and Algerian security services of complicity in al-Qaeda terrorist activity across North Africa. The academic report focuses on damning evidence that a devastating al-Qaeda terrorist attack on the Tigantourine gas plant near In Amenas, Algeria, was orchestrated by Algeria’s secret services, with the knowledge of US, French and British intelligence. A draft copy of the report, due to be published later this month, has been seen exclusively by INSURGE intelligence. Escalating instability in North Africa is being blamed on the re-emergence of an offshoot of al-Qaeda — al-Qaeda in the Islamic Maghreb (AQIM). Despite French military efforts, the group is re-consolidated in northern Mali, and has orchestrated terror strikes from Burkino Faso to the Ivory Coast. Yet the new draft report by a UN consultant, prepared by the International State Crime Initiative (ISCI) at Queen Mary University of London, uncovers remarkable evidence that the Phoenix-like return of AQIM is thanks to the unwavering covert support the terror group receives from one of the West’s staunch allies in the ‘war on terror’: Algeria. The as-yet unpublished report highlights evidence of such support from the In Amenas attack between 16 and 20 January 2013, which resulted in the deaths of 39 foreign nationals, including three Americans, six Britons, five Norwegians, and one French. 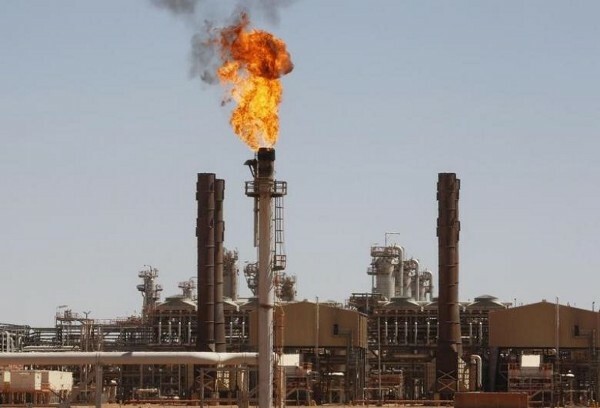 The Tigantourine gas plant is operated jointly by BP, Norway’s Statoil and the Algerian state-owned Sonatrach, producing 12% of Algeria’s natural gas. The attack was the single largest terrorist killing of ‘Westerners’ since the London bombings of 7 July 2005. The Queen Mary University of London report is authored by social anthropologist Jeremy Keenan, Visiting Professor at the Queen Mary University’s Law School. Keenan, who has authored over 200 peer-reviewed scholarly articles and six books on the Sahara-Sahel region, is an advisor on regional security issues to NATO, the US State Department, the EU, the UN, the British Foreign Office, and international oil companies. The report reveals startling evidence that the attack was secretly organised by the DRS, Algeria’s notorious secret intelligence service. The idea was to convince Algeria’s Western allies to continue supporting the regime’s domestic and regional counter-terrorism programmes, amidst growing international scepticism about their success. Algeria’s DRS maintained intimate ties with the terrorists behind the In Amenas attack, many of whom have been longstanding agents of the Algerian security services, the report says. US, British and French intelligence services are aware of these connections, but are covering them up to protect their considerable oil and gas interests in the country. 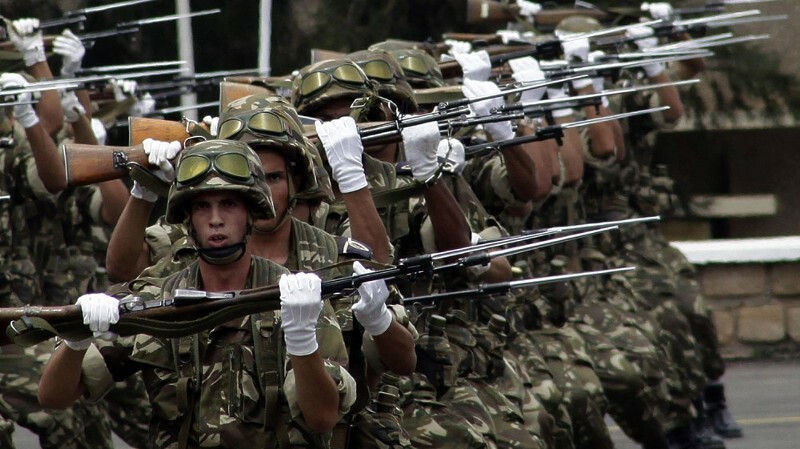 Among the report’s most alarming revelations is that over the last decade, Algeria’s DRS has run a secret al-Qaeda training camp in the Tamouret region, with the knowledge of Western government security agencies. Over several years, Prof Keenan obtained direct eyewitness evidence from locals about the secret al-Qaeda camp in Tamouret, including from an AQIM member who trained there. Its purpose is to recruit, indoctrinate and train marginalised youth from across North Africa into committing atrocities in Algerian communities — after which they would usually be executed. The camp was also directly supplied with arms and ammunition from Algerian army depots. Detailed information on the identities of camp recruits, including DNA data, was routinely shared with Western intelligence agencies according to sources familiar with the camp. Trainee terrorists at Tamouret were schooled in sniping and throat-slitting. The camp was provided with a continual supply of prisoners — mostly criminals and dissenting soldiers — purely for the purpose of being killed during training. Over a seven month period, one eyewitness said, about 180 murders had taken place at the camp during such routine practice sessions. Keenan’s report for the International State Crime Initiative points to disturbing evidence of Algerian intelligence services’ direct sponsorship of al-Qaeda terror. On 27 August 2015, senior DRS commander General “Hassan” Abdelkader Aït Ouarabi was arrested by Algerian authorities. The arrest was based on allegations from three terrorists captured at the In Amenas gas facility, who claimed they had received arms from General Hassan. On the same day as Gen Hassan’s arrest, the US Director of National Intelligence (DNI), James Clapper, flew into Algiers for high-level government meetings. The FBI had also been given access to the three terrorists making these allegations before July 2013. Astonishingly, the report reveals that before the attack, BP and Statoil had a three year contract with a transport services company, BAAT SARL, owned by Mohamed Ghadir, the brother of al-Qaeda terrorist Abdelhamid Abou Zaïd — the head of AQIM in the Sahara, and chief of the DRS-run AQIM training camp at Tamouret. At the London inquest last year, BP was never questioned about this contract, despite it involving a company tied to the very al-Qaeda group that attacked the gas plant. In the years preceding the attack, Keenan himself — in his capacity as a security consultant — repeatedly warned BP that the facility would be attacked by Islamist terrorists with the covert support of the Algerian government. Keenan suggests that BP’s inexplicable lack of concern about the matter was because the firm had been given security assurances from Algerian or Western authorities that AQIM would not attack the plant. BP did not respond to request for comment. Gary Rose, an emergency response advisor who worked at the In Amenas facility, said that BP’s onsite security “was incredibly poor and relied totally on the untested and unknown capabilities of the Algerian military.” Rose narrowly avoided the attack having left the site two days earlier. According to Rose, the most appropriate way of dealing with the risk would have required abandoning the site to conduct a full review and reinforcement. The draft report by Queen Mary University’s ISCI refers to recent revelations from Habib Souaïdia, a former Algerian army officer. In 2015, Tunisia experienced two major terrorist attacks, in which a total of 61 civilians were killed by gunmen with ties to Algeria. 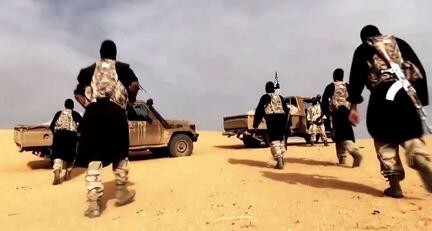 The AQIM-backed insurgency in Mali was also being supported by Algeria’s intelligence services. A Nigerian military officer told Keenan that AQIM forces in Mali were being supplied food and fuel by the DRS. Throughout the DRS’ sponsorship of regional al-Qaeda terrorist activity, the US, Britain and France have worked closely with the very same DRS on regional ‘counter-terrorism’ — despite being privy to damning intelligence on Algeria’s double-game. Direct confirmation of high-level US knowledge of the Algerian regime’s relationship with the terrorists behind the In Amenas attack came from emails leaked from Hillary Clinton’s private server, published by Wikileaks in March 2016. Mokhtar Belmokhtar was also, according to Keenan’s eyewitness sources, in charge of logistics for the al-Qaeda training camp in Tamouret, which he visited every two weeks. There is no evidence that such a meeting actually took place, suggesting that the DRS was not really interested in finding the answer. 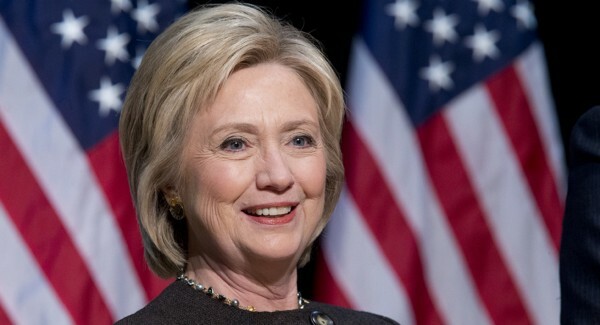 In any case, Clinton forwarded Blumenthal’s email to Robert Russo, her assistant in the US Department of State — which means the US government was aware of the agreement between AQIM’s Belmokhtar and Algerian intelligence. In either case, it seems that the State Department was aware that Algerian intelligence was sponsoring Islamist terror across North Africa. However, when asked about the State Department’s position on public record evidence of Algerian intelligence support to jihadists supplied by Prof Keenan — who has previously consulted on regional security issues for the State Department — she simply declined to comment. Much of this information was passed on by Keenan to the London Inquest into the attack on the Tigantourine gas plant. Yet the Inquest, which delivered its verdict in February 2015, excluded this evidence from the proceedings. Keenan himself was blocked from giving evidence at the Inquest. The Addendum to the Queen Mary University report includes the full text of a letter dated 30 April 2015 sent by Prof Keenan to Detective Constable William Wixey of the SO15 Counter Terrorism Command, summarising his available evidence. Keenan’s letter offered to provide access to multiple witnesses, two of whom would be non-Algerian citizens, who would expose the leader of the In Amenas attack as an “agent” of Algeria’s secret intelligence service. The Metropolitan Police failed to respond to a request for comment on the decision to block Keenan’s evidence from the Inquest. In addition to blocking Keenan’s evidence, the British government used Public Interest Immunity — the withdrawal of information on grounds of ‘national security’ — to suppress the disclosure of key documents at the Inquest on what the government knew, and when. 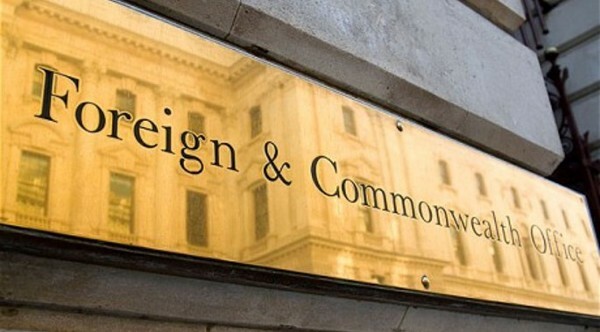 The government’s goal was to withhold any information alluding to British intelligence collusion with the DRS, including evidence that MI6 had been “complicit in activity that could be construed as crimina. In the absence of a further inquiry, there seems little prospect that the questions Keenan raises will be answered by officialdom. Yet his forthcoming report goes some way toward uncovering the real reasons that the threat of terrorism is escalating in North Africa. Dr. Nafeez Mosaddeq Ahmed is an award-winning 15-year investigative journalist, international security scholar, bestselling author, and film-maker. He is the creator of INSURGEintelligence, a crowdfunded public interest investigative journalism project, ‘System Shift’ columnist at VICE, and a weekly columnist at Middle East Eye. He is Global Editor at The Canary. Previously, Nafeez wrote The Guardian’s ‘Earth insight’ blog. His work has been published in The Guardian, VICE, Independent on Sunday, The Independent, The Scotsman, Sydney Morning Herald, The Age, Foreign Policy, The Atlantic, Quartz, The New Statesman, Prospect, Le Monde diplomatique, Raw Story, New Internationalist, Huffington Post UK, Al-Arabiya English, AlterNet, The Ecologist, and Asia Times, among other places. Exclusive stories broken by Nafeez via INSURGEintelligence have been covered by USA Today, Global Post, The Guardian, The Independent, Washington Post, The Metro, The Week, News Corp’s news.com.au, Discovery News, Channel 4 News, Forbes, Columbia Journalism Review, Gigaom, FutureZone, among others. In 2015, Nafeez won the Project Censored Award for Outstanding Investigative Journalism for his Guardian story on the energy politics of the Ukraine crisis. The previous year he won another Project Censored Award, known popularly as the ‘Alternative Pulitzer’, for his Guardian article on climate-induced food crises and civil unrest. In 2010, Nafeez won the Routledge-GCPS Essay Prize for his academic paper on the ‘Crisis of Civilisation’ published in the journal Global Change, Peace and Security. He also won the Premio Napoli (Naples Prize) in 2003, Italy’s most prestigious literary award created by decree of the President of the Republic. Nafeez has twice been featured in the Evening Standard’s ‘Top 1,000’ list of most influential people in London, in 2014 and 2015. Nafeez is the author of A User’s Guide to the Crisis of Civilization: And How to Save It (2010), and the scifi thriller novel ZERO POINT, among other books. His work on the root causes and covert operations linked to international terrorism officially contributed to the 9/11 Commission and the 7/7 Coroner’s Inquest. This story is being released for free in the public interest, and was enabled by crowdfunding. I’d like to thank my amazing community of patrons for their support, which gave me the opportunity to work on this story. Please support independent, investigative journalism for the global commons via www.patreon.com/nafeez, where you can donate as much or as little as you like.